Living around Brussels? 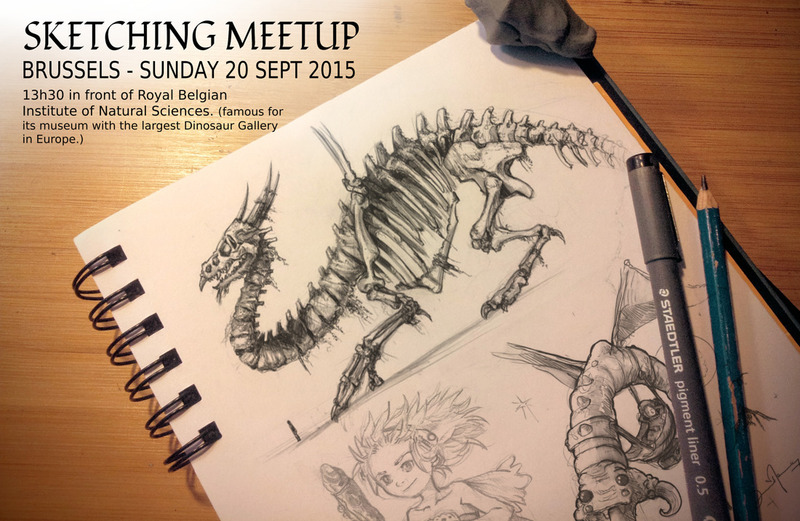 Join me on Sunday 20 September 2015 at 13h30 in front the Museum of Natural Sciences ; I'll spend my afternoon inside sketching minerals, shells, dinosaur skeletons (the museum is famous for having the largest Dinosaur Gallery in Europe! it looks really good on their website ). We can form a little sketching group inside, and meet each other. We can share feedback, tips, and improve after a good afternoon. I'll personally work on my shape vocabulary to sketch better fantasy creatures and environments. Beginners, students, hobbyist or professionals are welcome! Why in Brussels? I'm living in Montauban, south of France, a little city. I'll be in Brussels for a Krita Masterclass on Saturday 18 crowdfunded by 48 contributors (thank you! ), and organized by the BBUG , the Belgian Blender User Group. Going to a big city as Brussels is an opportunity for me to organize something like this. 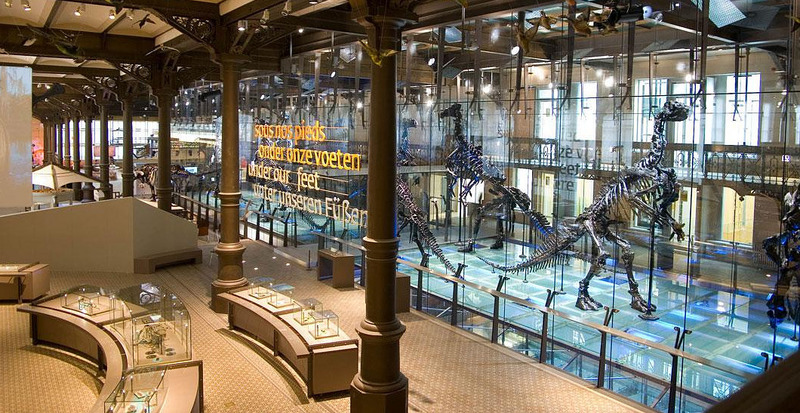 Museum of Natural Sciences website, for practical informations. Belgian Blender User Group, for the Krita masterclass of Saturday. My Twitter account, for updates and pictures. A question? You'll be around? It's the first time I try to organize a little event like this one. I hope it will be a success and inspire other artist to do the same in other cities. Leave a comment here for any question. See you soon! I am glad that you are organizing this event. Kudos to you. If I lived nearby I would have come. One question, Is it possible to post the masterclass video on YouTube? I be really happy to watch this. This is a magic place :) If I was free I would have come... Have a good weekend David. "Hey, about the masterclass Belgium Blender User Group ( BBUG ) said they'll post online a video ;"
@cfdev : Thank you Cyril! C'est super génial de réaliser des masterClasses sur krita (et blender pour les autres artistes) pour le bien des communautés des utilisateurs de ces logiciels. Et c'est encore plus "Classe" de les mettre en ligne ! ;-) Merci le BBUG ! Et châpeau pour tous les travaux réalisés avec la blender fundation ! Oh ! what a nice sketching meetup very attractive and spanking . I'm inspiration to see these . Very excellent and and joyful . So lovely and awesome . Thanks for sharing with us. Really i'm so excited to see this excellent Museum photography. Thank you for share it with us. In my opinion, this is a great idea to create the images directly in the museum. In general, it turns out pretty good. I think that such experiments are going to the benefit. I am really impressed with those huge skeletons. I think that I'll would be really happy to be a kind of a paleontologist and an anthropologist.